Ken Smart puts his imaging systems into some of the toughest environments on the planet. Here he reflects on the past, present and future of lightweight, uncooled infrared cameras and their game-changing potential, even in applications outside of the world’s most dangerous hot spots. For all that human vision enables us to do in the world, it falls short in one important and common environment: without help, we are not well equipped to detect objects or navigate when there isn’t much light. Some non-sighted persons can navigate through echolocation, also known as acoustic wayfinding. By making clicking noises with their mouths, for example, they can experience their surroundings with astonishing accuracy. Scientific studies show that as they “sound out” the world, they use many of the same parts of the brain that a sighted person would, their visual cortex lighting up like a disco ball. Yet that’s not a problem for some blind or visually impaired people. In fact, they can often safely explore almost any environment. So there are different ways of “seeing”—some of which might challenge our understanding of the concept, perhaps leaving it reduced to nothing more than a social construct. Indeed, vision can be regarded as an act of the imagination. And while we might be challenged to perceive what is obscured by darkness or distance, or by thick smoke, fog or physical barriers, we continue to imagine new and better ways of seeing the unseen. The Jenoptik Varioscan with its external processing unit. When this was announced (around 1994) it was quite an advance over previous products. Note the cap for the liquid nitrogen reservoir on the top. Over the last few decades, more people are focusing on the benefits and advantages of thermal imaging as a method of seeing the non-visible. Steady improvements in sensitivity, array size and production methods have made uncooled long-wavelength infrared (LWIR) detectors more practical and affordable. Small, wafer-level packaging means that the IR sensor can also be small, of lower weight, consume less power and cost tens of dollars instead of hundreds or thousands of dollars. A lot has changed since Smart was first exposed to thermal imaging in the early 1990s. 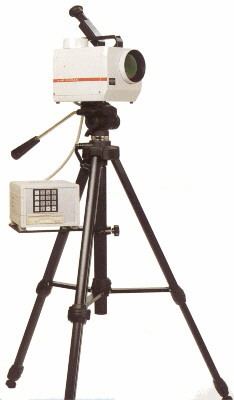 They were also cumbersome to operate and required body braces with a tripod connector that would allow a person to work hands-free with the camera perched in front. 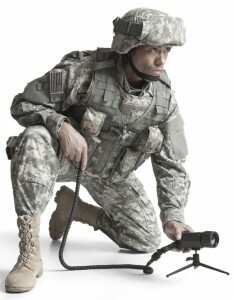 In 2004, Smart launched Eomax so he could continue developing his modular, multi-mission Wolf Pack tactical vision system—named after a fascination with the social structure of wolves and their different roles and responsibilities within a group. Since then, his company has sustained an aggressive pace of innovation for the system’s imaging components. 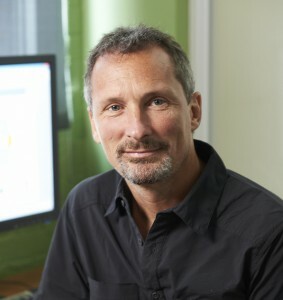 Ken Smart is the founder and president of Toronto-based Eomax Corp, which designs and manufactures remote viewing technology for applications in defence, search and rescue, and industrial markets. 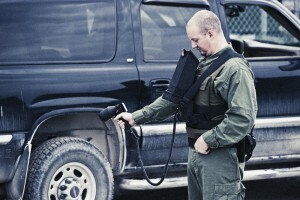 Wolf Pack systems are designed for tough applications. Another aspect of smaller, lighter and less power-hungry thermal cameras powered by microbolometer technology appeals to Smart’s personal and vested interest in ergonomics. While that’s said from the comfort of a spacious loft studio office in a converted chewing gum factory far from any battle zone (discounting any typical big-city issues related to parking), it reflects an understanding of what really happens in some very dangerous parts of the world—places in which Wolf Pack gear is used every day. 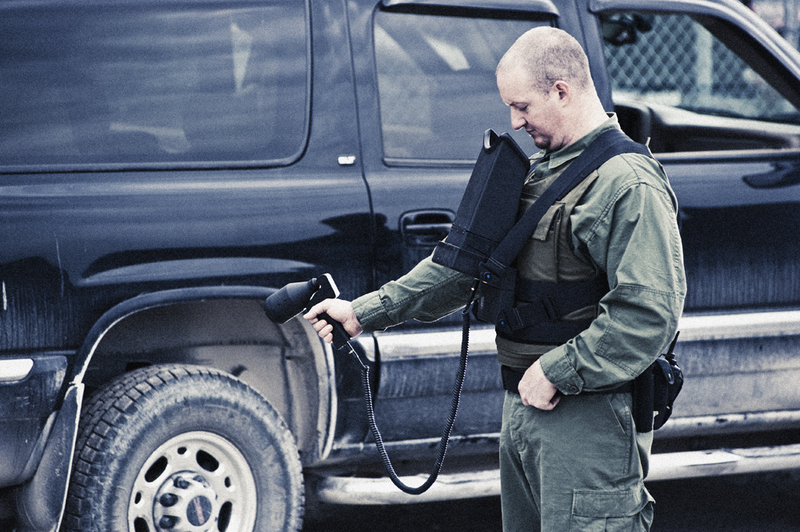 Infrared imaging can reveal things invisible to visual vehicle searches. Those mission sets cover a lot of ground. From Afghanistan to the Arctic, Wolf Pack’s field-configurable system has proven its value in tactical operations, contraband interdiction, search and rescue, surveillance and more. Meanwhile, uncooled microbolometer sensors are finding an increasing number of uses in other fields, such as industry, medicine and agriculture, in addition to opening new possibilities for a range of consumer applications. Looking ahead, thermal imaging can also complement other vision systems. What else might we see? The answer to that question depends on one’s imagination—or vision.